Chronglobal Corporation, a Miami Beach based company, is the developer behind the Chronglobal Tidal Chronoscope application for IPhone, one of the fastest growing paid IPhone applications. Chronglobal’s application includes real-time monitoring of the tides via a sophisticated, virtual wristwatch featuring the current level of worldwide tides, along with lunar and solar position at the user’s location. “What started off as a pet project, turned into a major undertaking. Working with our team of PhD’s, it took us 9 long months to develop this application. It’s based on my original tide watch for Krieger Watch Corporation. But I have taken it a step further and built a data base of 9400 reporting tide stations around the world . It’s a must have App for open water enthusiasts.” states inventor and CEO Ira Krieger. Chronglobal is a great example of a user friendly, dynamic application that gives high and low tide information at a glance. The App works utilizing the GPS feature of the iPhone tapping into a data base of over 9400 worldwide stations . So no matter where the user is in the world, it will tell the current state of the ocean tides at their location instantly. 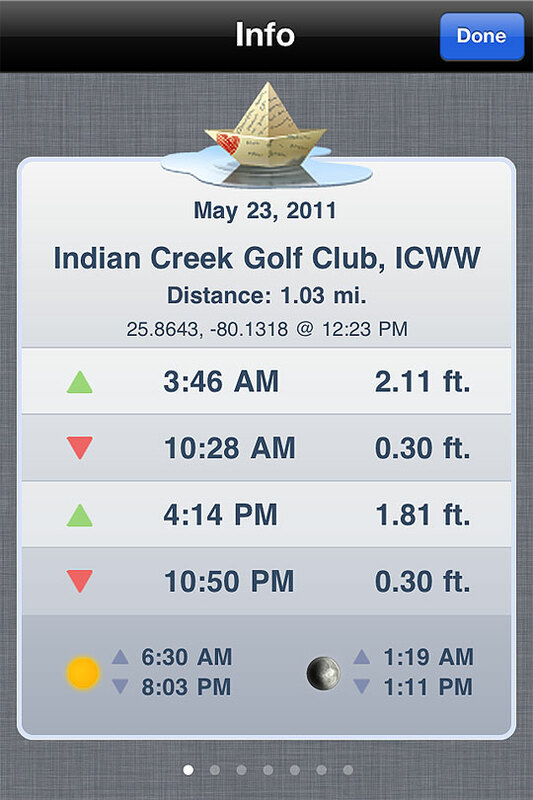 The App can also track any other tide location in the world at the same time! It’s far superior to anything else out there. Additionally, the application offers a virtual wrist watch for following the daily lunar movements, and an additional virtual watch for following the daily position of the sun. Users can also change the style of the watches. The App allows users to set the watch up to 7 days into the future and can predict the tides for any day, hour or minute in order to plan open water excursions ahead of time. The newly launched application, which offers tidal conditions and forecasting, along with lunar and solar positions in a Swiss watch display, has shot to the Number One position in the App Store’s Navigation category in less than one week’s time. The app already has the highest consumer rating of all Tide Apps, thanks to its luxurious looks, accuracy and flexible features. The company is also creating specially designed mobile applications for the IPad and Android platforms and due to launch next month. From the Miami Beach based inventor of the original Krieger Tidal Chronometer, the company has introduced a remarkable application that tells the tide, and is going to change the lives of anyone with an interest in water-oriented activity. This application tidal watch face provides an easy and instant graphic approach to tide info, sun and moon information. Support and Contact: The team invented and created the tide watch over 25 years ago. And for quarter of a century the graphic approach to measuring the tides has been often copied but never duplicated. And now the design experience with tide watches brings the market this remarkable Application. ChronGlobal values your input. Send your remarks to ira@chronglobal.com.